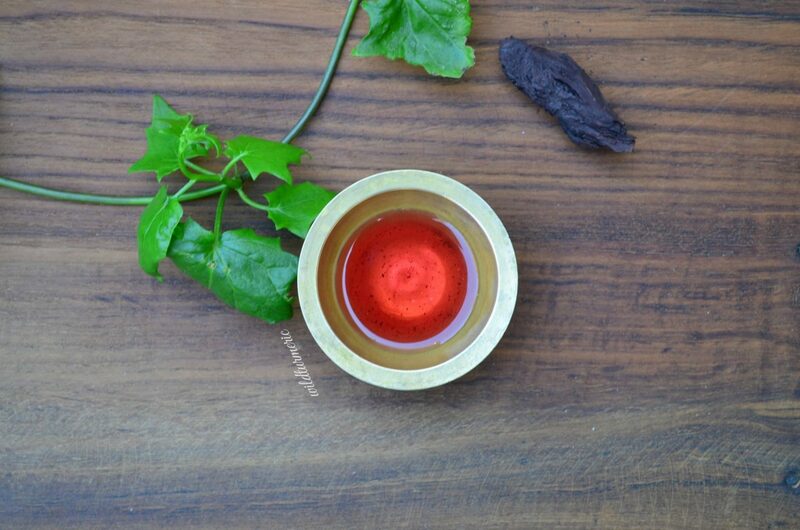 Ratanjot popularly called Alkanet has wonderful skin and hair benefits. 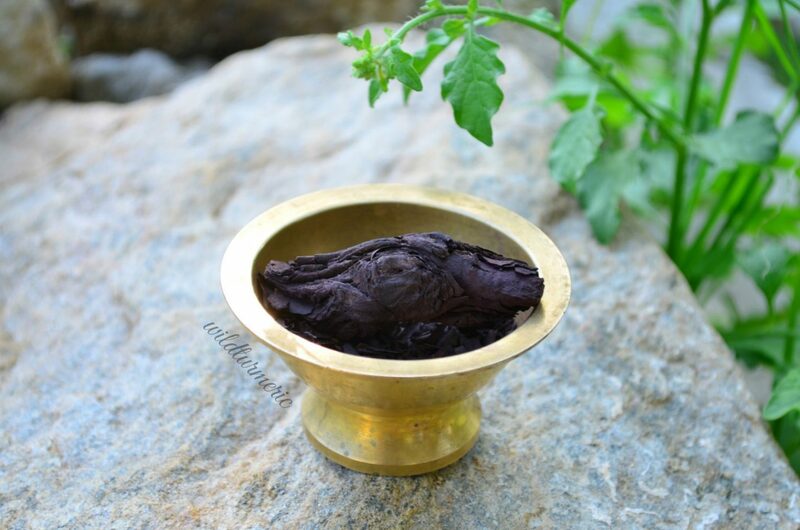 Here in India, we use it both as a natural dye and also in home remedies. The root of the plant is widely used as a natural colorant for dishes like “Rogan Josh”. At home, we use ratanjot powder extensively in skin care and hair care for promoting hair growth, reducing burn scars, for treating grey hair and for skin lightening. Ratanjot oil made with coconut oil and ratanjot powder is used for treating all scalp problems. Ratanjot is a herb that belongs to the genus Alkanna and family Boraginaceae. The plant produces blue flowers and the root of the plant is the most used and they are dark reddish black in color. Ratanjot has been used from ancient times as a natural dye. 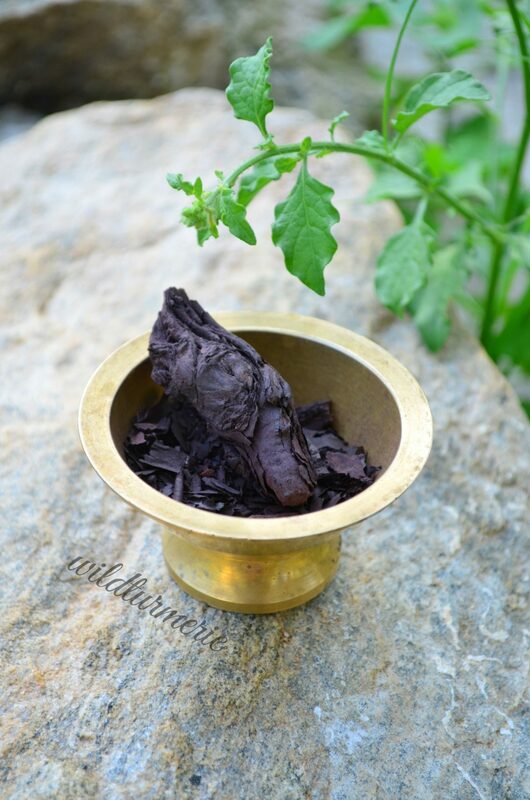 The fresh alkanet root has a mild odour and a bitter astringent taste but when the roots are dried, it is almost tasteless and odourless making it a perfect colourant. 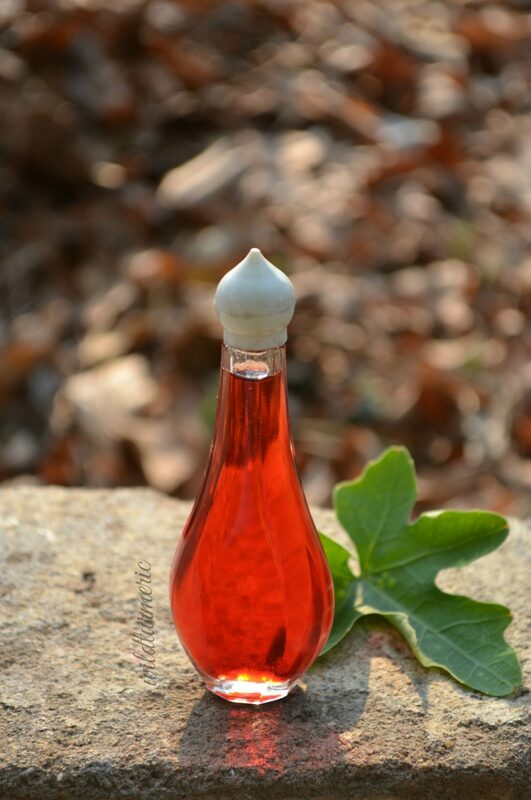 The root releases it’s dye in alcohol and oil but is insoluble in water. Some of the major compounds found in ratanjot (ethanol extract) are ethane, 1, 1-dichloro- , 1H-enzotriazole, 4-Nitro, 2-chloroethyl methanesulfonate and 4-diazo-. Along with these compounds napthaquinones are also present. Some of the important napthaquinones present are alkannin, acetylalkanin, angelylalkannin, 5-methoxyangenylalkannin, dimethylacryl alkannin, arnebifuranone, alkanfuranol and alkandiol. The botanical name of ratanjot is Alkanna Tinctoria. It is commonly called alkanet | Dyers’ Bugloss in English. Ratanjot is the Hindi name and it is also called Laljari in Hindi. It is called Ratanjot in Marathi and Bengali too. Ratanjot is called Vembalam pattai in Tamil, Baal Jad in Urdu, Buglosse Azuree in French, Natternkopf-Lotwurz in German, Yatilung in Kashmiri, Laljari in Punjabi and Maharanga in Sanskrit. I couldn’t find the Telugu, Malayalam and Kannada name of Ratanjot, if you do know please update me in the comment section. In India, ratanjot has been mainly used as a natural coloring agent for adding color to certain dishes and it is used mainly in Northern India. To color dishes, we have to heat oil or ghee along with little amount of ratanjot, it will turn a beautiful red. Now the ratanjot oil can be used for seasoning the gravies, this gives a bright red color to the gravies. 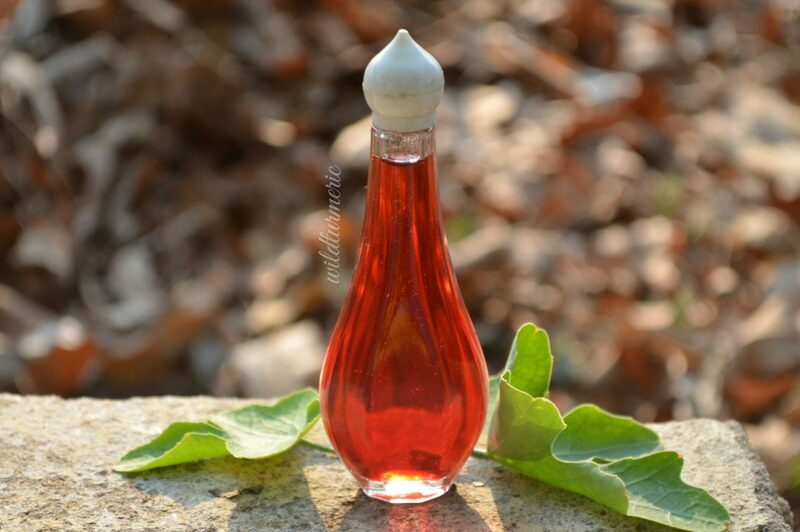 Abroad, it is mainly used for a dye (it is not allowed as a food dye in certain countries), it is used for coloring vinegar’s, oils, cheap wine and also skin care products. As a home remedy, it used for reducing inflammation, for treating burn scars, promoting hair growth and for lightening scars. Since ratanjot is rich in antioxidants, it has anti ageing properties. Using antioxidant rich ingredients on our skin and hair is key to preventing free radical damage. Since ratanjot releases it’s dye into the oil, using ratanjot oil for external application in the form of massage oil or in face packs is very effective for preventing premature ageing of our skin. Ratanjot is an amazing wound healer, it has been used for treating wounds from ancient times. This is due to the presence of alkannins in ratanjot. You can read the study that supports this claim here. We also get ointments for treating burns in which ratanjot extract has been added. 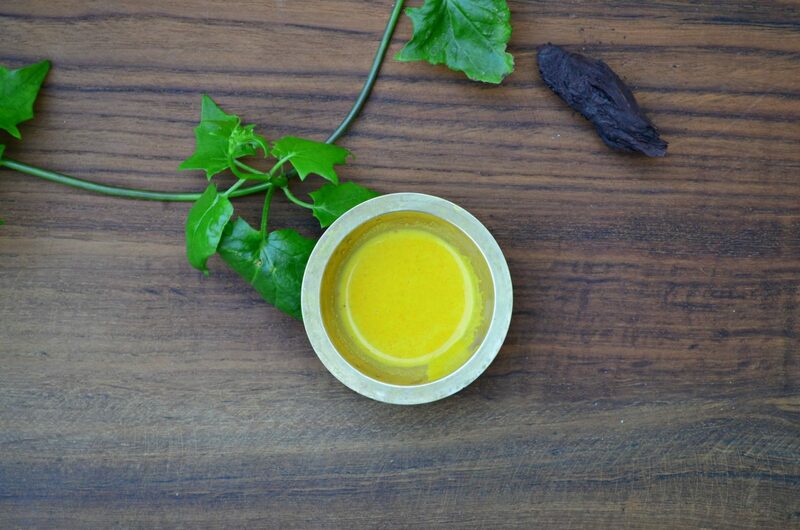 Ratanjot also has anti inflammatory properties making it one of the best ingredients to use for skin care. When we apply ratanjot externally on our skin, it greatly helps reduce inflammation. Last week when I had a skin inflammation, I applied ratanjot oil and it greatly helped reduce the inflammation fast. Ratanjot has been traditionally used to treat all skin and scalp infections very effectively including acne, dandruff and all skin infections. This is because ratanjot has amazing anti microbial properties. Traditionally ratanjot is mixed with coconut oil and applied for treating all scalp and hair problems. Creams made with ratanjot, beeswax and olive oil can be used to treat burns very effectively. Ratanjot also has antioxidant properties and using antioxidant rich ingredients for external application is one of the best ways to get glowing skin. The antioxidant effect of ratanjot also has been proven through research. At home, I use ratanjot soaked in cold pressed unrefined coconut oil as a massage oil and it works wonders for my skin. Naphthoquinones are the main active compounds of ratanjot and they have been proven to have powerful anti cancer properties. The naphthoquinones alkannin and angelylalkannin that have been isolated from ratanjot proven to be very effective against color rectal cancer cells. Where To Buy Ratanjot Powder? We get ratanjot in most herb shops in India as it is used to make hair oil. You can also order it online. We get both the dried roots and the powdered ratanjot root powder online. You can buy either one but I prefer the roots as it is easy to strain it out of the oil as opposed to ratanjot powder. Ratanjot when applied externally does not have any side effects but when we add it as a food colorant we have to be very careful with the amount we use because ratanjot contains pyrrolizidine alkaloids which is very harmful if consumed more than a certain amount. Even after searching for hours, I couldn’t find the safe amount to consume internally. It is best for pregnant women and breast feeding mothers to avoid consuming dishes colored with ratanjot completely. To Make Ratanjot hair oil, take a cup of unrefined coconut oil in a bowl. Add in 1/4 cup of unrefined castor oil too. Now add in 1 tbsp of fenugreek seeds and a tbsp of alkanet root to the oil and leave it under hot sun for 2 to 3 days. When the oil gets heated, ratanjot will release it’s essence into the oil and the oil will turn bright red. This hair oil will prevent all scalp infections including dandruff and premature greying of the hair and will promote hair growth. To use, apply this hair oil all over the hair and scalp, leave it on for an hour and then wash it off. Ratnajot oil can be added to any face pack. It will help treat skin infections really well along with lightening scars and blemishes. For the face pack, first take a tsp of ratanjot oil made by infusing ratanjot in extra virgin olive oil and heating it under sunlight like mentioned before. Now take a tbsp of besan also called gram flour in a bowl. Add in 1/4 tsp of turmeric powder to it. Add in a tsp of ratanjot oil too. Finally add in enough milk to form a paste and apply as a face pack. This face pack is wonderful for treating dry skin. To make ratanjot oil for treating sun burn, take a cup of unrefined coconut oil in a bowl. Add in a cup of extra virgin olive oil to it. Now add in 11/2 tbsb of crushed ratanjot root. Keep it under hot sun to help it release it’s essence into the oil. Strain and apply over the affected area. This oil does not stain the skin but helps fade burns scars really well and since it has anti bacterial properties, it help heal the wounds fast too. To use, take little bit of the oil and apply it over the affected area. Leave it on as long as you can. I think it’s malayalam name is ‘thavittu venpala’.